A few weeks ago we had the pleasure of working with Cinematographer Nick Ingram (Who is also responsible for taking all of our beautiful product shots) on a short company promo video. The idea behind the short film was to give people an idea of who we are & what we are all about. The first day of shooting was at our home in Nashville, Tn. 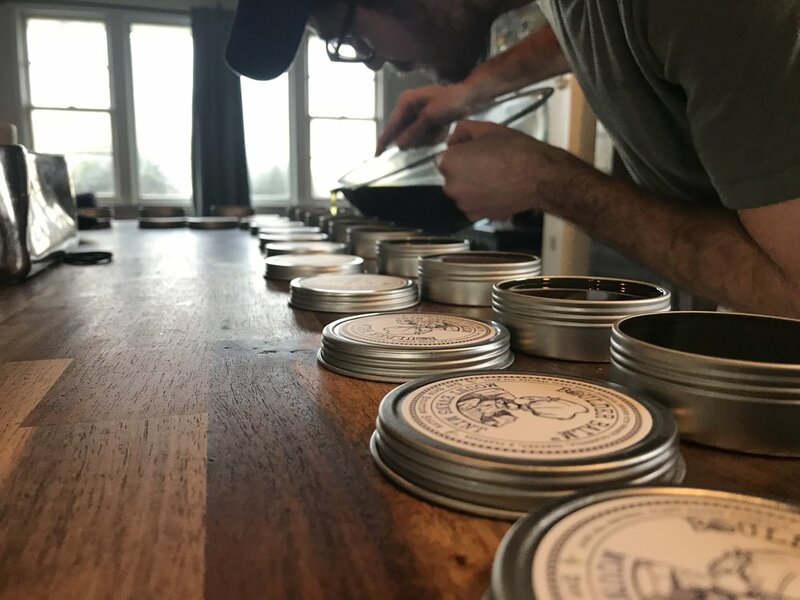 Nick & Kevin filmed the process of making Boulder Balm & made it look a lot more interesting than it probably is! The second day we made the trek out to Chattanooga to climb at an area called Pep Boys. From when the idea to shoot an intro video was first introduced I knew right a way where I wanted to film & two climbs in particular I wanted to showcase. The 7-11 roof & Riverside are two of the most aesthetic lines & I knew this would be the perfect spot to film. Nick kept letting me know that this was not a "climbing" film & that that part of the film wasn't really the focus, it was to showcase the product. You always feel super dorky when a camera is pointed directly as your face & even more lame when you are told to chalk up 10 times in a row (Also when you are told to look like you are trying harder because that always leads to a constipation face:) The video length we were going for was about 1 minute & 30 seconds & I realized that was not even enough time to show one climb . Once I saw the amazing shots they were getting I understood how this was more of a "commercial" then a Reel Rock segment. Although I am super psyched on that being a possibility next season! What made the day infinitely better was having my good friend & Beekeeper (Who supplies us beeswax) make the 9 hour trek from New Orleans to come and climb for the day. We both made quick work of 7-11 but both didn't connect with the lip on Riverside. It was a tad frustrating, but that's why we love climbing. If it was easy and didn't bruise our ego we would probably have moved onto something that did! Look for the promo video coming soon! Nick even had a friend create an original score for the film! I cannot wait to see the finished product!